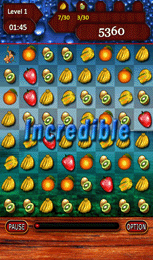 Amazing fruits swiping game with unlimited levels! Sequel to the best swipe game! 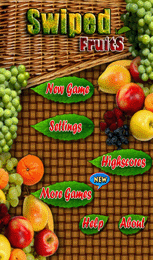 Very addictive casual game with unlimited levels in five interesting game modes!!! 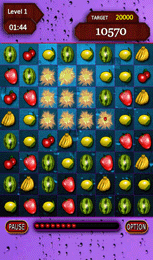 FRUIT MANIA : Swipe the target no of displayed fruits . 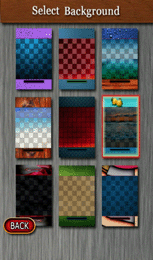 TIMEATTACK : Tests your raw pattern swiping speed in 1Min, 5Min, 10Min & 30Min. 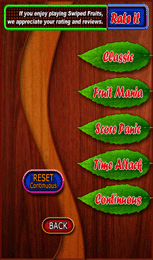 CONTINUOUS : Non stop fruit swiping fun. Each level is progressively challenging and very addictive. Excite Monkey & Tarzan by swiping over them along with similar fruit chains. 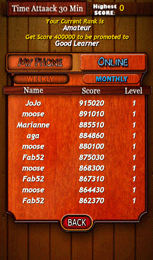 Your rank naturally improves along with your skill as you play again and again, thats what makes Swiped so addictive.